Admission: we were banking on this headline drawing you in. 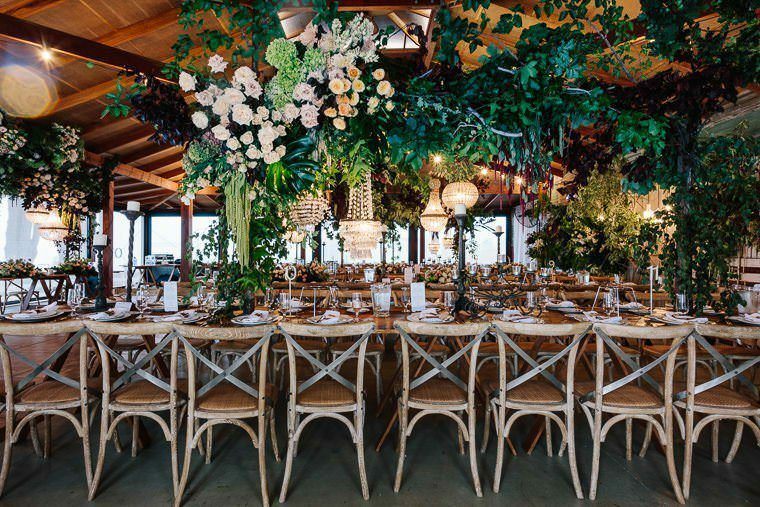 However, these are just some of the most beautiful blank-canvas wedding venues Australia has to offer. The truth is, there are so many more out there (which you can search here). But a shortlist isn’t a shortlist unless it’s just that (i.e, not several hundred venues deep), so we’ve gathered some of our favourite spaces for couples wanting to use their imagination and create a completely customised celebration. It’s a popular alternative to venues that only offer set menus, strict ceremony times and a bunch of other do’s and don’t’s. 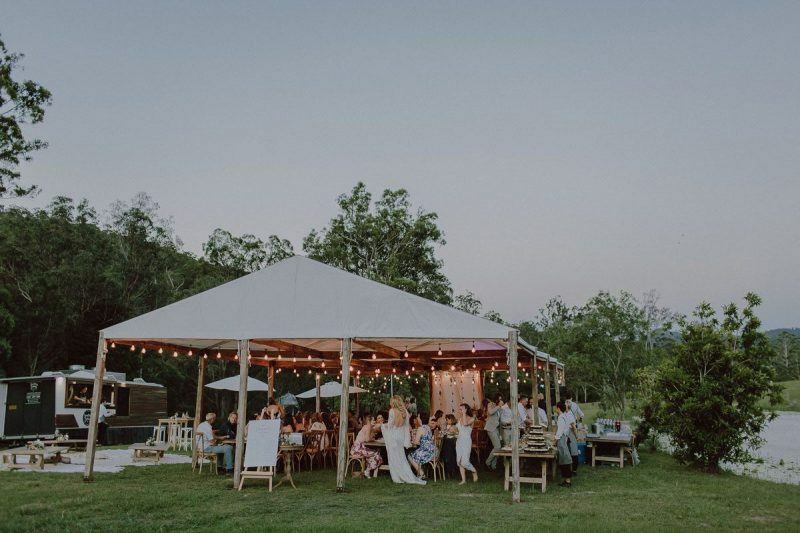 A refurbished, heritage-listed dance hall, this blank canvas wedding venue is located inside the Royal National Park, surrounded by beautiful bushland and stunning waterways. Plus there are three fab accommodation options all within 10 minutes. Find more blank canvas NSW south coast wedding venues here. 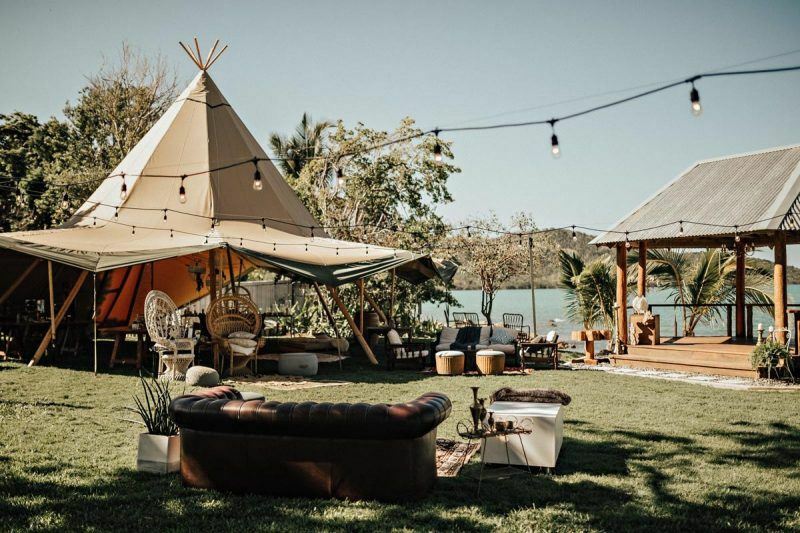 With no neighbours on either side and plenty of areas suitable for a marquee or teepee, this 50 acre property is paradise for couples wanting a wedding venue without all the rules. Guests are welcome to camp and all food and alcohol is BYO. Find more blank canvas Gold Coast wedding venues here. 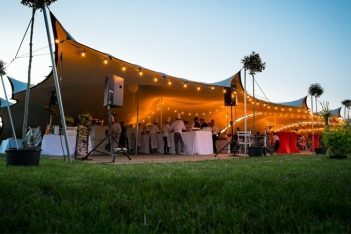 The ultimate country wedding venue, Kimo Estate boasts a 115 year old grain shed that can host up to 200 seated guests. There’s 7,000 acres of breathtaking scenery as well as on-site accommodation that includes a luxurious eco-hut. 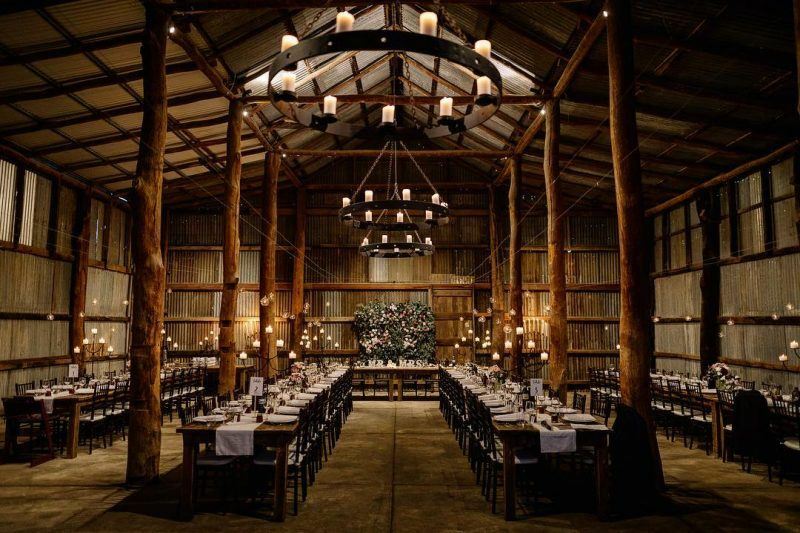 Find more blank canvas country NSW wedding venues here. Earlando is 6,500 acre working cattle yard with legit palm-lined stretches of private beach. There are no restrictions in terms of numbers and the photo locations here are something you’d see in a magazine. It’s a beautiful spot for elopements too. Photo credit: Vicki Miller Photography. Find more Whitsundays wedding venues here. This working farm offers accommodation for 10 guests, panoramic views and the ultimate blank canvas for creative couples. You can arrive here by helicopter (or horse or yes, car) and enjoy an entire weekend soaking up the Victorian countryside. Photo credit: Light & Type. 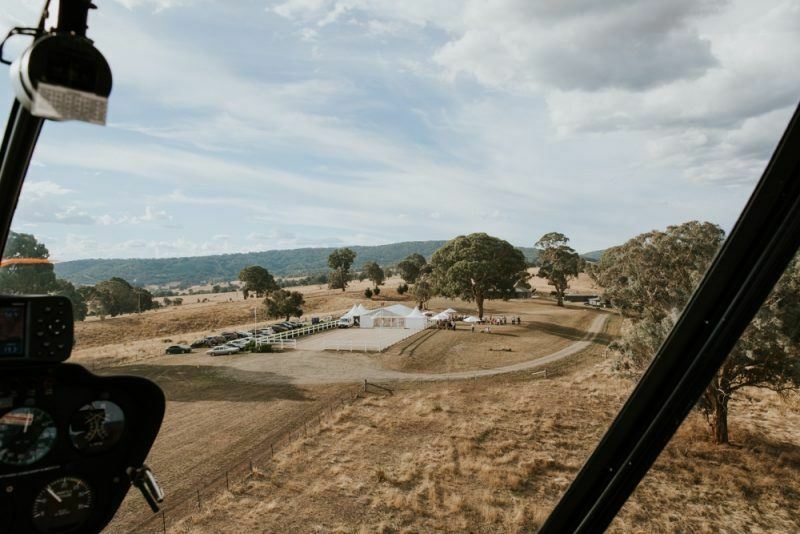 Find more blank canvas VIC High Country wedding venues here. 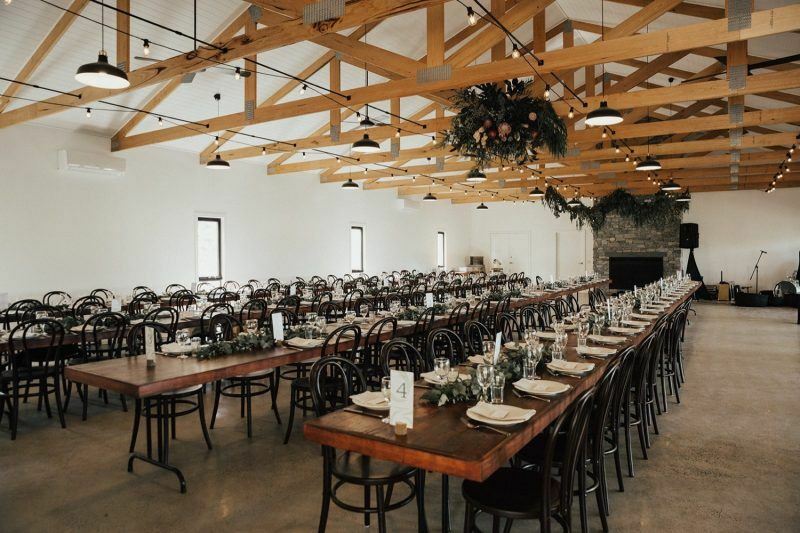 Anyone looking to find a one-of-a-kind, blank canvas wedding venue should make a beeline to Craigie Knowe – the oldest winery on the east coast of Tassie. Settled in the 1820s, it features a rustic cellar door as well as plenty of space for a marquee. Find more Tassie wedding venues here. For anyone looking to escape the city, this hidden gem is only 90 minutes from Perth. It offers a fully equipped chalet that sleeps eight guests, handmade furniture and 160 acres to run wild. Most importantly, it’s close to local wineries and cheese makers. Photo credit: Kate Drennan Photography. Find more south-west WA wedding venues here. 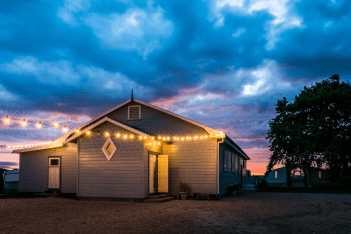 The Burrow is a pet-friendly wedding venue with a contemporary barn that can be easily customised to suit your style and needs. It comfortably accommodates up to 170 guests and has bi-fold doors that open out onto a generous verandah with views of the surrounding forest. 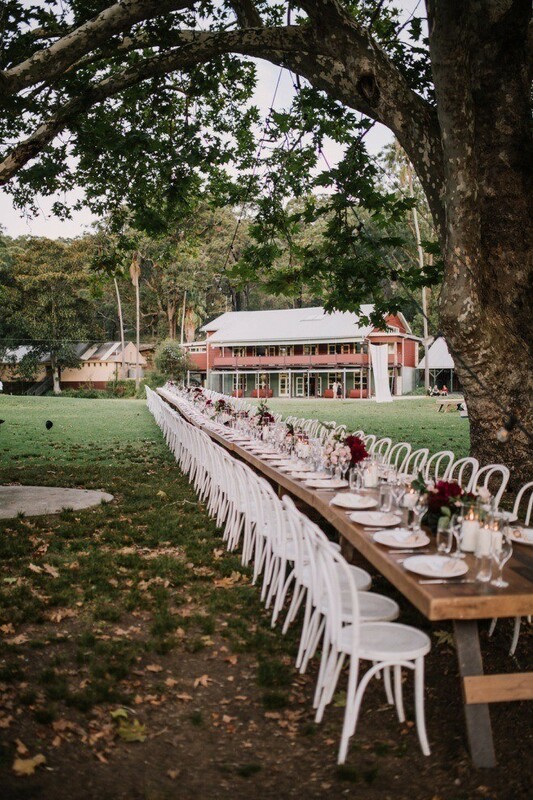 Find more Daylesford wedding venues here. Want a place with a few perks? Seclusions is it. It’s a spacious, blank canvas wedding venue that invites couples to do things their way, but the option of having everything on-site is there. The newly-built pavilion boasts incredible views and the rustic barn is a great alternative for indoor receptions. There’s also a bridal room, a vintage caravan bar and luxury spa log cabins for up to 12 guests. Photo credit: Hilary Cam Photography. 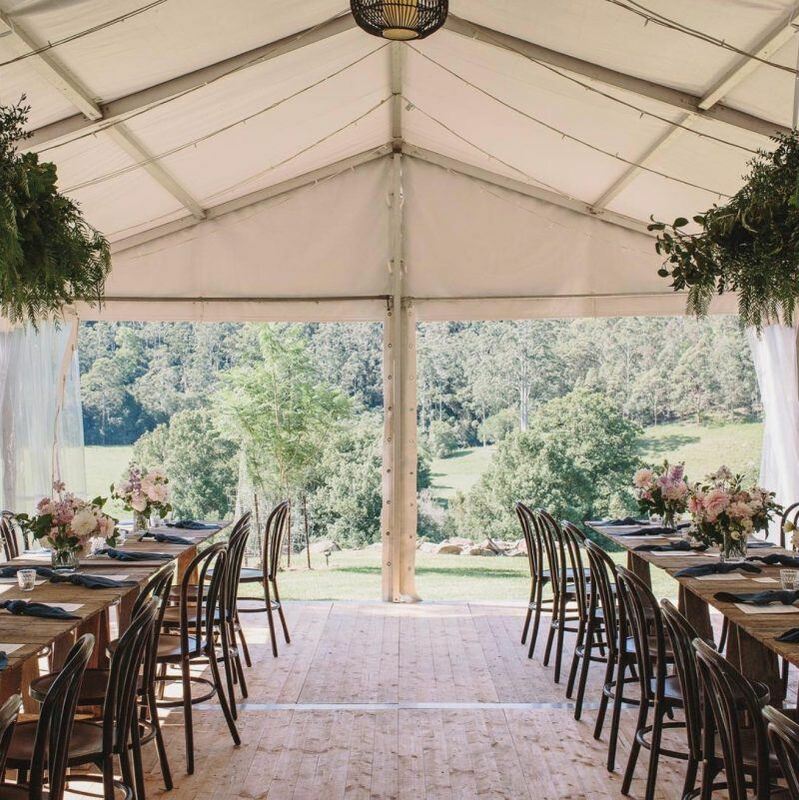 Find more blank canvas Blue Mountains wedding venues here. Tucked away on an exclusive private property in the Central Coast region is Bebeah Farm – a luxurious, three-bedroom homestead that overlooks 36 acres of rolling green hills and running streams. Couples are encourage to personalise their day – there are no hard and fast rules – and to sit back, relax and enjoy the fresh country air for an entire weekend. Photo credit: Days Like These Photography. 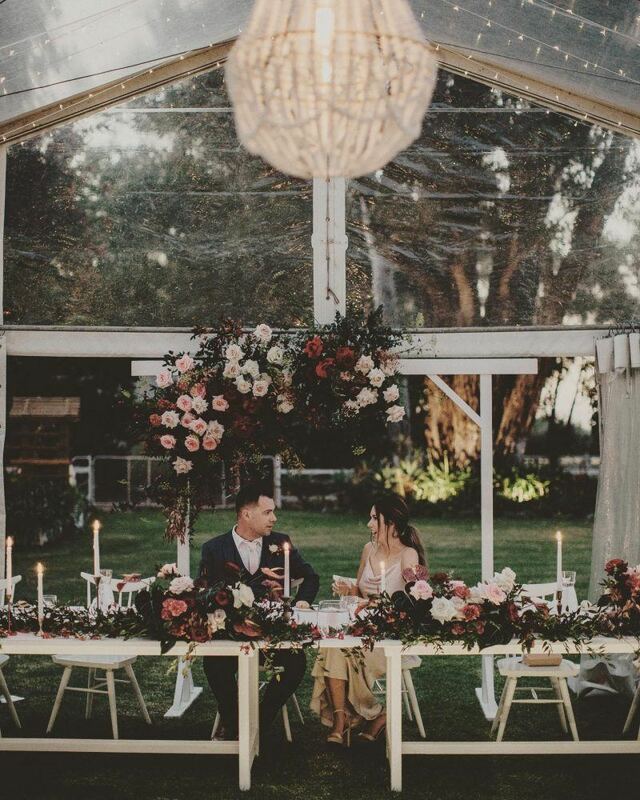 Find more blank canvas NSW Central Coast wedding venues here. The Lushington is an art deco warehouse that has recently been restored to its former glory. 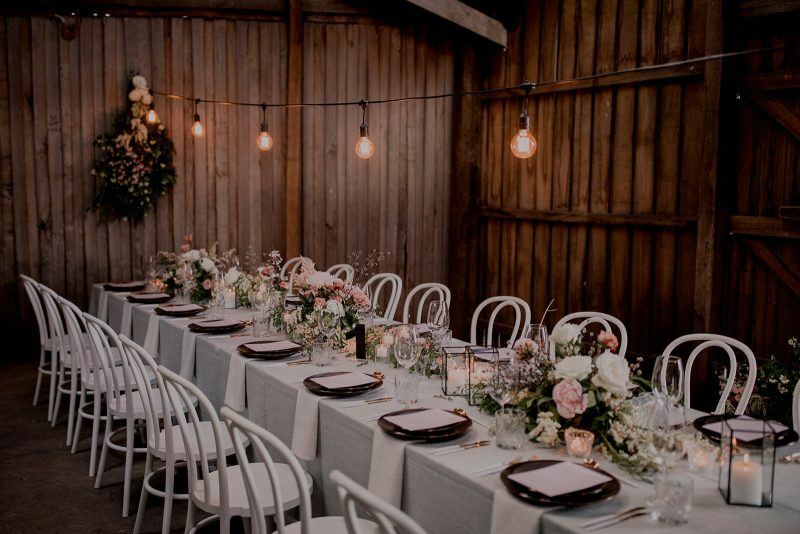 It’s a beautiful backdrop with exposed brick walls, original timber posts, four metre high ceilings and polished concrete floors and while some furniture is provided, couples are more than welcome to decorate the space however they like. Catering and alcohol is BYO. Photo credit: Kate Robinson Photography. 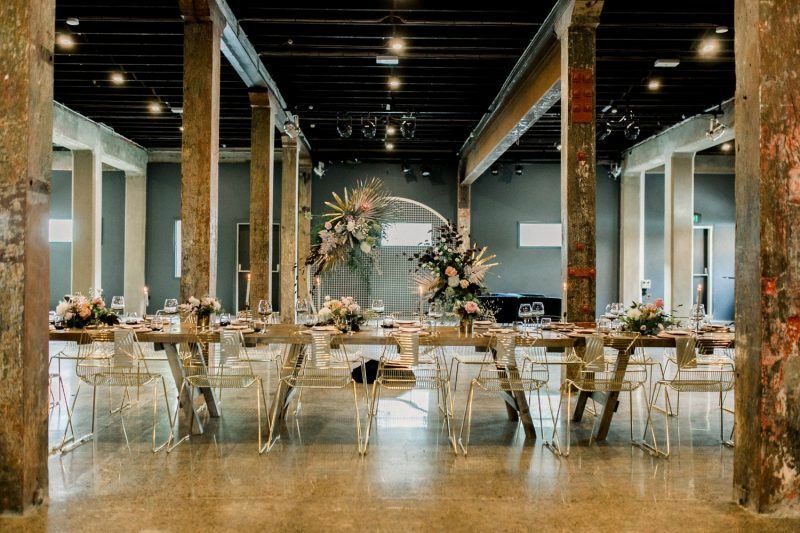 Find more blank canvas Brisbane wedding venues here. 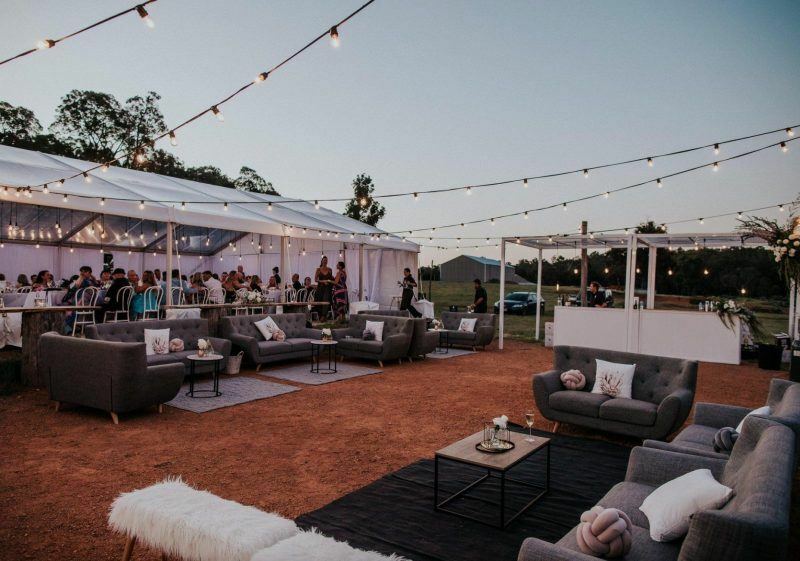 Located just a hop, skip, jump from Perth CBD, Yoothamurra is an all-in-one venue where you can host your ceremony and reception and even stay a night or two in the newly renovated cottage (sleeps 12). The beautifully maintained lawns are ideal for marquee weddings and the surrounding property and animals make for amazing portraits. Photo credit: Lana Pratt Photography. Find more blank canvas Perth venues here. Want to see more venue round-ups. Simply click here. For real wedding inspiration head over here.